Austin, Texas and Salt Lake City, Utah are included in NerdWallet's annual list of top LGBT-friendly cities in the United States. 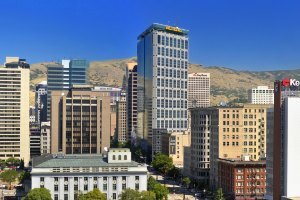 Austin ranks third, while Salt Lake City ranks eighth in NerdWallet's third annual list. San Francisco topped the list this year, followed by Portland (2), Providence (4), Baltimore (5), Philadelphia (6), Seattle (7), Los Angeles (9) and Orlando (10). NerdWallet said its rankings were based on four primary factors, including the percentage of the population identifying as LGBT in each metro area, the number of LGBT-related hate crimes, HRC's Municipal Equality Index and HRC's number of leaders in LGBT health care equality. With the exception of Austin, gay and lesbian couples can marry in all of the included cities. More than 4 percent of Salt Lake City metro area residents identify as LGBT.